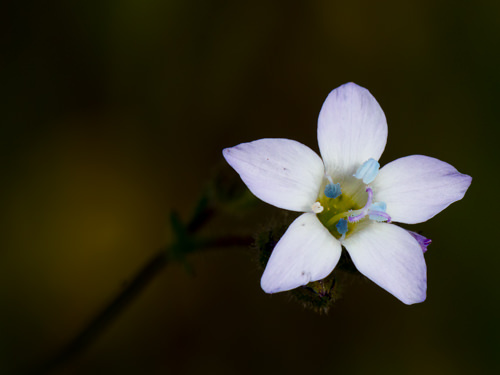 Stinky Gilia is also known as Blue False Gilia, Sticky Gilia, Sticky false Gilia and sticky false gilyflower. 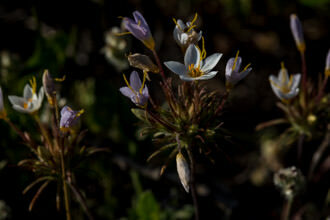 The descriptive part of the name whether it is sticky or stinky describes this beautiful little flower. Run your fingers along the stem and you are bound to coat your fingers in a somewhat malodorous sticky resin. This plant can found in rocky soils of shaded slopes and is endemic to California - I located this plant in two places: Upper Sycamore Canyon Pt. Mugu State Park and Upper Solstice Canyon. It may be a bit of a challenge to find this plant. 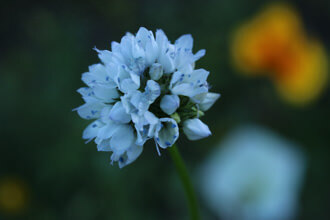 The flowers are about .25 of an inch and this plant only stands out with the help of a magnifying glass. When I was showing this plant to others, most people were amazed that we found it at all because it was growing a few feet off the trail and the flowers are so small as to require a magnifying glass to appreciate fully. 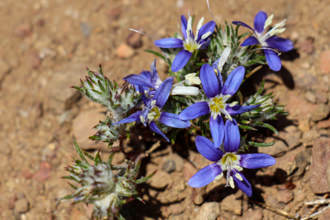 If you do find and identify this plant, consider yourself among a tiny minority of trail users appreciative of the beauty of native wildflowers. Stinky Gilia is an Annual, tap rooted herb, and is often found spreading and scrambling over neighboring plants; the plant grows to 40 cm tall; densely glandular-hairy, the glandular hairs that look to me like bubbles with an odor some describe as similar to a skunk. 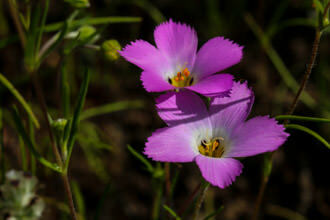 The flowers as described by botanists grow in a cyme-like array because the flowers grow on many-branched stems. 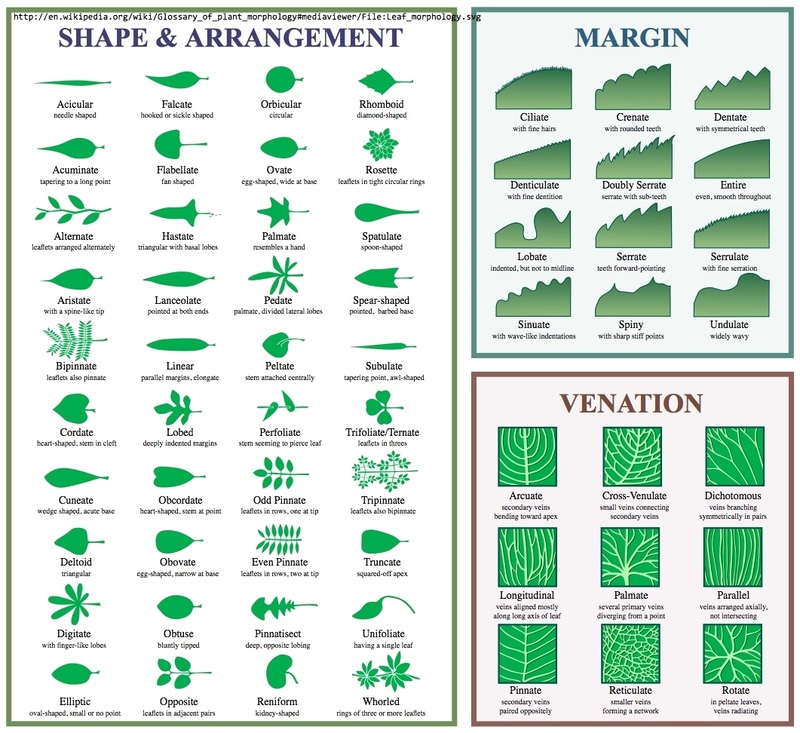 The leaves are considered pinnately lobed (think of what a feather is like). 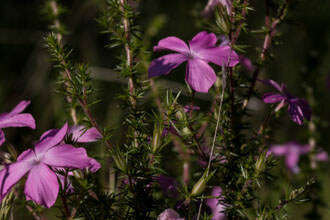 The plant is recognizable as a phlox because of the tubular flowers, five petals and distinctive because of the blue pollen. Variations can and often do appear, sometimes there are white anthers instead of blue - usually accompanied by a white corolla. Name Origins: Allophylum is from the Greek allos (diverse) and phyllon (leaf) and glutinosum is the botanical term for sticky. Last modified: March 31 2017 21:26:09.